In Portugal, places dedicated to Marian Devotion provide a journey through history, culture and art, exploring the sacred and worship in churches, paintings and sculptures, processions and pilgrimages; true living symbols of the culture of a people. Fátima, where Our Lady appeared to the three little shepherds in 1917, is undoubtedly the main place of worship. Since then, and especially on the 13th of every month, this hub of faith and peace welcomes pilgrimages that peak in May and October, when crowds express their faith in a way that will touch all, whether you’re a believer or not. Devotion to Mary, Mother of God, marks the history of the Christian world. In Portugal it began in the very earliest days of nationhood and cemented itself through the centuries, leaving an amazingly rich Marian legacy from north to south of mainland Portugal and on the islands of Madeira and the Azores. From the founding of nationhood, the construction of cathedrals, churches and chapels dedicated to Our Lady flourished, and images and relics of the Virgin Mary began to appear. 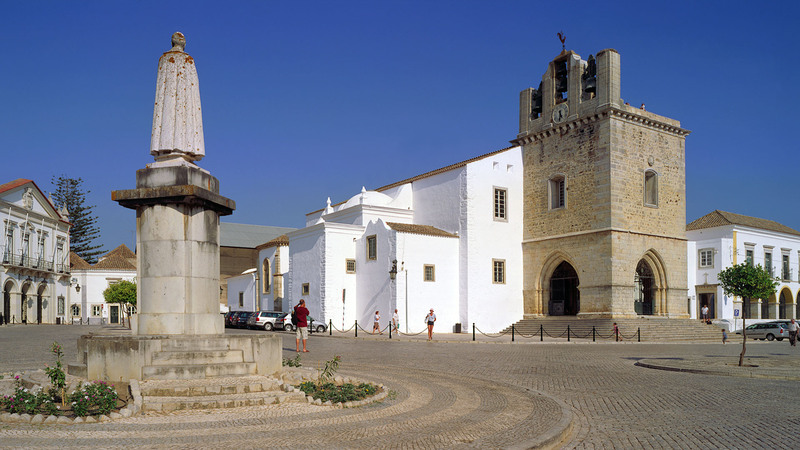 In the 12th century, the Monastery of Alcobaça, built by the Cistercian Order, the spiritual heart of the lands consecrated to Santa Maria, resulted from a promise of the first king of Portugal, D. Afonso Henriques, who asked for the Santa’s help in conquering Santarém from the Moors. Later, in the 14th century, King João I, grateful to have defeated the Castilian troops in the battle of Aljubarrota, ordered the construction of the Monastery of Batalha, dedicating it to Santa Maria da Vitória. During the Modern Age (15th-18th centuries), worship and devotion to Our Lady increased as a result of Protestantism. Festivals such as the Rosary Festival or the Mercy Festival were created and religious orders devoted to Our Lady were founded under various invocations. In 1646, King D. João IV crowned the image of Our Lady of the Conception of Vila Viçosa as the queen of Portugal; Portuguese Kings have never worn crowns since. Processions and pilgrimages take place in honour of the Virgin Mary, adopting characteristics that are specific to the key activities of each location. For example, in Lamego, the image of the Virgin is carried on an oxcart; in Viana do Castelo, Constância or Albufeira it is carried on fishing boats by fishermen. Elsewhere, the image of Our Lady of the Cape Espichel is itself a pilgrim; it is carried through several parishes on the outskirts of Lisbon, approaching believers who receive it with pomp and devotion. In Portugal, Marian altars can be found from one end of the country to the other, revealing places, monuments and traditions of various historical and cultural periods that we invite you to discover.